Warrenton VA residents, let TJ Auto Glass Repair or replace your cracked or scratched windshield or auto windows that can cause serious vision problems while you drive. However minor they might be to start, it’s possible they can in fact become worse over time. It’s imperative to have such a problem taken care of as quickly as possible. The same holds true for your door glass, your back glass, or any glass that can be found on your car. When the damage is there, it needs to be assessed by a professional at once. 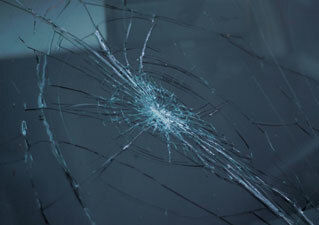 In the event your windshield needs to be assessed, our technician is first going to determine if repair is possible. This is usually less expensive than replacing the entire windshield. The damage from something such as a rock chip cannot be any larger than the size of a quarter. If the damage is such that replacement is necessary, the technician is then going to suggest that the windshield be replaced entirely. Although this can be a little expensive your best bet remains having the work done by a local auto glass company serving the Warrenton VA area. Make sure you use a company that can do the auto glass repair work to your satisfaction. Ask these questions. Is the replacement glass OEM (Original Equipment Manufacturer) or OEE (Original Equipment Equivalent)? Has the glass met all necessary federal, industry, and safety standards? How much product testing has the glass undergone? Are the technicians properly certified? How much experience does the company have in the Warrenton VA community? How long have they been in business? Will the company come to you, or do you need to bring your car to their location? Will the inspection stickers be replaced after the work has been completed? Free auto glass repair quotes are just a phone call away. Auto Glass Repair in Warrenton zip code 20186. Call 24/7 To Leave A Message.